Just when you think that you’ve seen everything, China comes along and invents something that turns the world on its head. This piece of news is unbelievable to us even as we’re sitting here writing about it. Guys and girls, you can now get your cars from a vending machine. We never thought that a day would come where we could type those words and realize it’s not a joke. 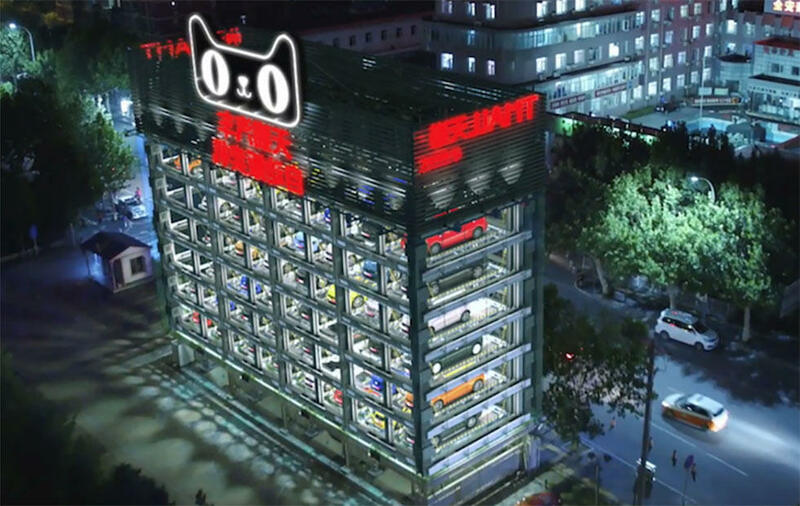 That’s right, Chinese e-commerce giant Alibaba Group and US car maker Ford have unveiled an unstaffed car vending machine in China's southern city of Guangzhou. The vending machine stands about five-storeys tall and contains 42 cars of various models, including the Ford Explorer SUV and Mustang. According to a statement from Alibaba, users of Alibaba’s flagship online shopping platform Tmall can purchase a car from the machine, without the need for human help, in just under 10 minutes. We’re pretty sure getting McDonald’s at the drive thru will take a longer time than that! Purchasers simply need to select a model on Alibaba's Taobao mobile app, have their face scanned by the app, and verify their identities when they arrive at the machine before the vehicle is delivered. "Sign up is completely mobile on the Tmall or Taobao mobile APP," said Gu Wanguo, general manager of vehicles at Tmall Auto. "Once a Ford vehicle is chosen, consumers snap a selfie to ensure they are only person who can take the car, put down a deposit electronically, and schedule a pickup time, all from within the app," he added. Buyers can also take out one other car if they are not satisfied with their selections. Alibaba is no stranger to selling cars online and via mobile apps. In 2016, Maserati sold 100 cars in 18 seconds during a flash sale on Tmall. The vending machine will be open to the public from now until April 23 2018. Buyers will be given a 3-day test drive before they have to commit to any purchase. Similar machines are being planned in Beijing and Hangzhou, because we can’t get enough of this amazing idea! Would you dare to give this a go? Leave a comment below if you would! Your Next Dream Car Can Be Made With Your Saliva? !